A saddle sore, the one thing cyclists, including me, hate to face after a long and enjoyable ride. Saddle sore is very common that many cyclists got used to it and don’t even feel it as much as they used to. However, no matter what you do – it’ll always be there. On the bright side, there are ways to deal with it or even prevent the saddle sore from happening. And if it’s that one thing that doesn’t make you look forward to your next ride, you’re in a good place. 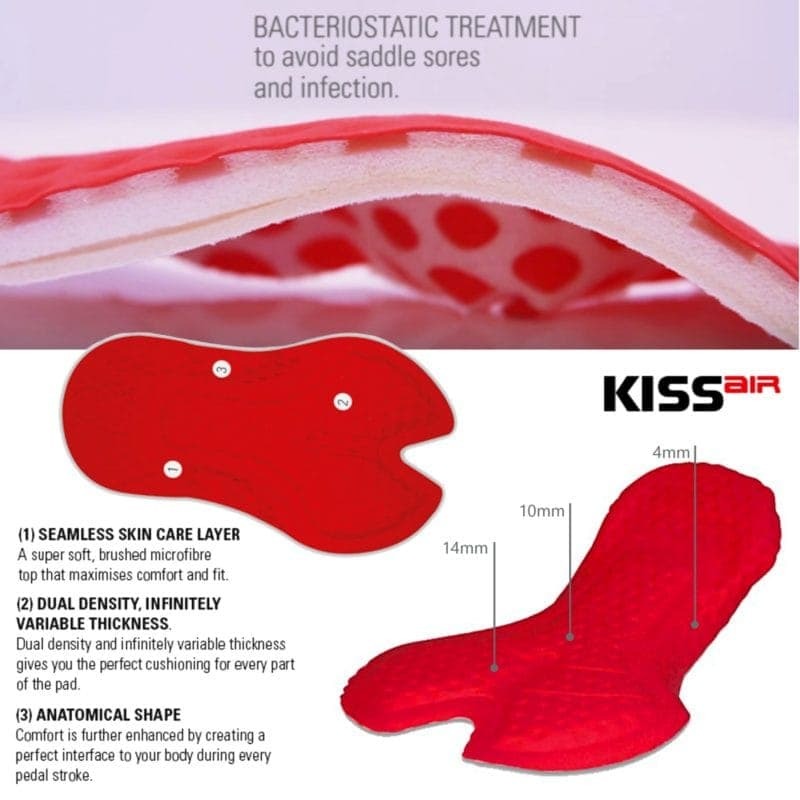 In this article, I’ll give you a clear definition of a saddle sore, reasons why it happens, tips to prevent it, but also to treat it, in case you’re suffering from a saddle sore right now. Saddle sore is usually referred to as many different similar conditions. But if you’ve sat in a bike saddle for a long ride, what did you feel once you got off your bike? Yup, that’s definitely a saddle sore. It’s a condition that many cyclists experience differently. For some, it can be a light pain in the pelvic or genital area which contacts the saddle the most and therefore, withstands the most pressure during a ride. 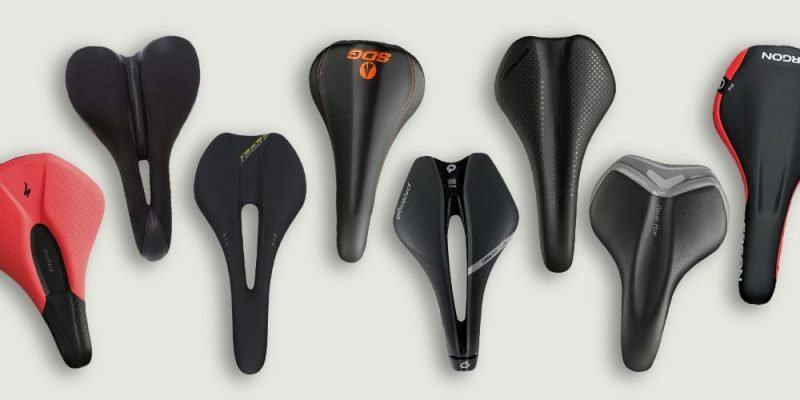 But even though not many cyclists find saddle sores serious, they can be over time. Usually, saddle sore starts with a simple chafing of the skin, and if you ignore it, the areas can even become open sores, which is something you definitely don’t want. On top of that, inflammation can happen as well around the hair follicles that could lead to painful bumps on the skin. This can go really far to the point where you can mistaken the bump for a pimple. In the worst case scenario, a saddle sore can involve deep skin infection which is most of the times, filled with pus. Saddle sore isn’t such an innocent issue anymore, is it? Even though many cyclists aren’t aware of the saddle sore conditions, it’s really important to take it seriously as it could get complicated in no time. And you probably don’t want that. Because if you get a severe infection, you won’t be able to get on your bike for quite some time! I don’t know about you, but that’s a big issue itself, isn’t it? If you already happen to have a saddle sore, it’s your lucky day since you’ll find ways to treat it. On the other hand, if this post has scared you so far, there’s nothing to sweat about. I’ll also discuss ways to prevent saddle sore so you never have to worry about it again. And now that you know what a saddle sore is and how complicated it can get, you’re probably wondering why does it happen at all? 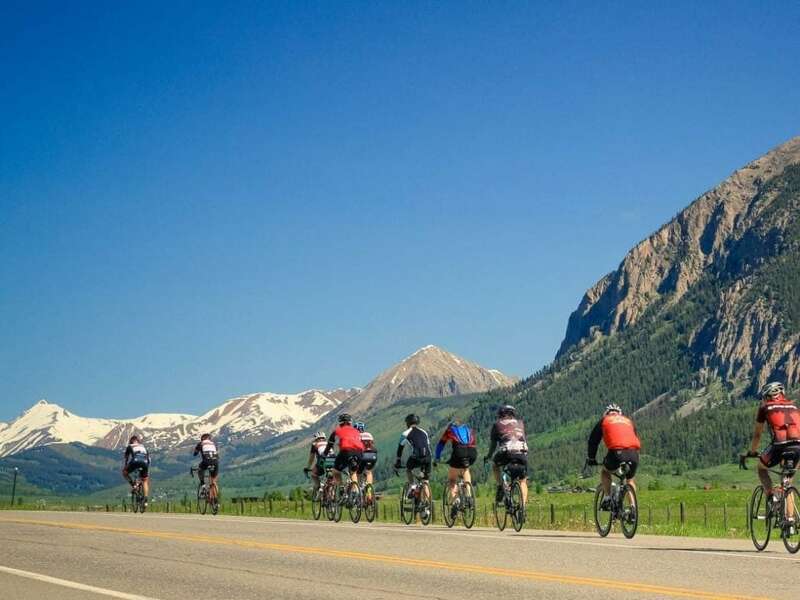 There are many reasons, and the most common ones are usually because of the excess friction and pressure that happens between the skin, cycling shorts, and the saddle, or poorly padded shorts. Although, you shouldn’t ignore a poor bike fit or a poor saddle since it can definitely be just one of many reasons saddle sore occurs. It’s always better to prevent the saddle sore than having to treat one, and if you stick to these 5 tips, chances are you’ll greatly minimise the chances of getting a saddle sore. As obvious as it is, your bib choice is really important, especially when you’re going for longer rides. Almost all cycling bibs come with a chamois that offers protective padding layer which serves as a layer between the body and the saddle. Unfortunately, chamois pads differ from bib to bib, and therefore, it’s important to find the ones that make you feel most comfortable. It’s a process of testing and seeing what works the best for you. And we’ve all been in a situation where we like the bib so much, even though they’re not the most comfortable ones. If the bibs are rubbing you the wrong way, I’d definitely recommend you to look for another pair. Having said that, you shouldn’t ignore hygiene either. Most cyclists shower after the ride, but showering before a ride and maintaining the area that withstands the most pressure during the ride will help in the long run. If you’re experiencing saddle sore, trust me, it might not be because your saddle is not suitable for you. In fact, if you didn’t get a bike fit right, it could be the biggest red flag and possibly an easy solution to saddle sore. A proper professional bike fit would make sure that your saddle fits you well, the saddle height, fore-aft and tilt is ideal. Even a proper handlebar position will help relieve the pressure from one point. Also, a professional bike fit will help you find the most comfortable riding position that will match to your goals. Sometimes, a saddle just isn’t meant for you. Ask any cyclists and most will tell you that they’ve gone through a few saddles before settling for the one that suits them best. If your bike fit is alright, you have found your perfect bib shorts, it might all come down to a saddle. These days, there are a number of bike saddles available, even professional ones created specifically to help people relieve or prevent saddle sore. Such saddles are a bit wider than the usual ones, come with a cut-out, and can easily be angled so you find your sweet spot. Chamois cream is a very popular option that can be found in bike stores. It’s a cream that’s made to help reduce the friction and eliminate the saddle sore. Make sure to adequately clean your skin with soap and water before and after your ride. No matter how much do you like cycling, even the pro cyclists couldn’t complete their long distance rides in just a few rides. It took a lot of training and getting fit to ride the wanted distance. If you happen to go for a long ride after a long break, you might get a saddle sore. Instead, start small and gradually increase your riding distance. Alternatively, you can train indoors on the bike trainer to complement your outdoor riding. If you’ve been experiencing saddle sore, it’s important to start treating it on time – before it escalates and gets complicated. Here are 4 tips to for you to treat saddle sores and get back on the road. Now that you’ve experienced saddle sore, there isn’t much you can do but getting enough rest and not being stubborn and getting on your bike too soon will help you heal a lot faster. Depending on the severity of your saddle sore, you should always keep the area clean, even if it means washing the area a few times a day. The more attention you pay to the issue itself, the faster it will heal. As mentioned earlier, a saddle sore can get really complicated if it’s not well taken care of. Antibacterial cream is the best way to go to treat saddle sore and prevent it from getting too complicated. It also gradually works towards decreasing of the saddle sore, resulting in a quicker recovery. Wearing breathable underwear is just another thing you should do in order to successfully treat a saddle sore. Even if you don’t like such material, you should still wear it for the chance of a quicker recovery. Also, it would be helpful if you could find loose breathable underwear since tight underwear is constantly pressed on the skin and might not help you in this case. I know, it’s comfortable, but to treat saddle sore successfully, you will have to get out of your comfort zone for a bit. If you’ve been trying to treat saddle sore on your own for some time now, and you don’t see any improvements, I’d highly suggest you see your local GP. They’ll be able to determine the severity of your saddle sore, give you professional advice, and even prescribe you better creams for a faster healing process. It’s a common issue you shouldn’t be ashamed of. Don’t hesitate to see your local GP, because it sure is one of the ways to get fully recovered. Your goal is to get on a bike as soon as possible, isn’t it? Saddle sores might start as an issue which isn’t very serious and many cyclists make the common mistake thinking it’s something that will go away in some time. In the end, you’re having a saddle sore because you rode that extra mile, right? It shouldn’t be something serious. Unfortunately, saddle sore can get really serious. The most ideal situation would be to prevent the saddle sore even before you have to treat it. Preventing saddle sores is way easier than treating it. And of course, you get to stay on your bike instead of having to stick to your couch. Using these 5 tips to prevent it and 4 tips to treat it, and no matter if you have a saddle sore or you’ve just started feeling the symptoms – you’re on a right path to deal with it once for all.